Sally finished with six BB over top-winning specials and three group placements. She won two five-point majors and two reserves at five-point majors. 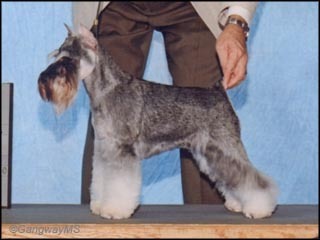 She was WB and BW at the Atlanta Miniature Schnauzer Club specialty. She is the sixth champion for her dam.